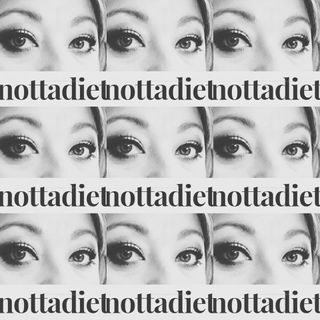 Welcome to season 2 of the NottaDiet podcast! Today, I introduce my husband and get all sorts of nervous! Opening up the New Year, we talk about being "mostly" plant-based and what that means to us. We also talk about finding our why and talking about plant-based eating to those in our lives. There have been times it has been tricky. For links to the recipes we mention, please visit us on our Patreon page at www.patreon.com/nottadiet where you can also join the conversation about ... Más informaciones this episode. We look forward to a healthy 2019! And for those who would like to try the recipes we talked about in this episode, I have created a sub-file on my Pinterest board for that! I know, I am getting all crafty now! Here is the link: https://www.pinterest.com/Mrs_April_Elder/nottadiet/january-podcast/ and I am pretty sure you can follow the main NottaDiet board as well.